Some of Italy's Best Art Travels to the U.S.
Home » All Articles » Art & culture » Some of Italy’s Best Art Travels to the U.S. Whether you’re traveling to Italy and want to get some background on the art and history you’ll experience, or you’re still dreaming about your trip to Italy, there’s good news: Many of Italy’s finest masterpieces are traveling to the U.S. over the next year. From Donatello’s sculptures in New York City to “a day in Pompeii” in Cincinatti, here’s our roundup of some of the most exciting shows. The cities are bolded, so scan carefully to see if there’s something coming near you. And stay tuned for an upcoming post on Italy’s masterpieces in Canada, the U.K. and Australia! She’s the goddess of love and beauty, and sculptures of her pop up all over Italy. So don’t miss your chance to get to know her—and get some background in ancient Roman art—in Boston, where the exhibit “Aphrodite and the Gods of Love” runs at the Museum of Fine Arts in Boston from Oct. 26 2011 to Feb. 20 2012. 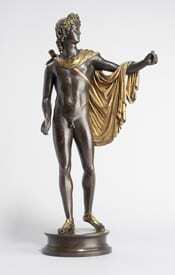 The show includes more than 150 ancient Greek and Roman works of art, many of them key loans from Rome and Naples. It moves to the Getty Villa in Malibu, California from March 28 2012 to July 9 2012. 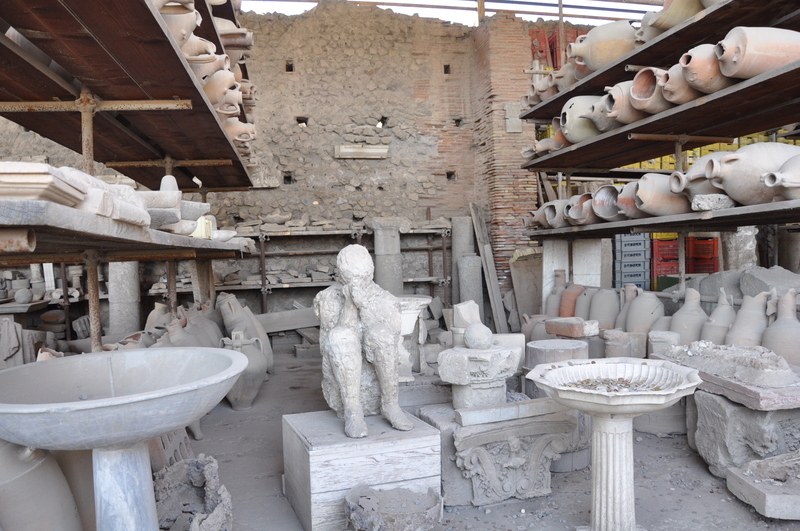 “A Day in Pompeii” opens at Boston’s Museum of Science on Oct. 2. The exhibition features more than 250 artifacts from Pompeii, including 10 famous resin bodycasts of people in their final throes. It closes on Feb. 12 2012 and heads to the Cincinatti Museum Center in Cincinatti on March 2, where it’ll remain through August before going onto the Denver Museum of Nature and Science (dates TBA) in Denver. Some 160 works by Italian Renaissance masters including Donatello, Bellini, and Botticelli will be on show at at the Metropolitan Museum of Art in New York City from Dec. 21 2011 to March 18 2012. The exhibit “The Renaissance Portrait from Donatello to Bellini” includes painting, sculpture, and even manuscript illumination, and explores Renaissance-era courts across Italy, from Venice to Florence. A must-see for anyone nearby! And, while full details haven’t yet been released on the Metropolitan Museum of Art’s website, two other Italy-related exhibits are supposed to run in 2012 in New York City. One is titled “Bellini, Titian and Lotto: North Italian Paintings from the Accademia Carrara, Bergamo,” and should run from May 15-Sep. 3 2012. The second, featuring models in clay by Bernini, should be on from Oct. 2 2012 to Jan. 6 2013. So stay tuned! From May 1-July 29 2012, the Frick Collection in New York City will host “Antico: The Golden Age of Renaissance Bronzes,” a collection of bronze copies of ancient Roman sculptures done by the Renaissance-era Italian sculptor Antico. The collection will first be in Washington, D.C. from Nov. 6 2011 to April 8 2012 at the National Gallery of Art. 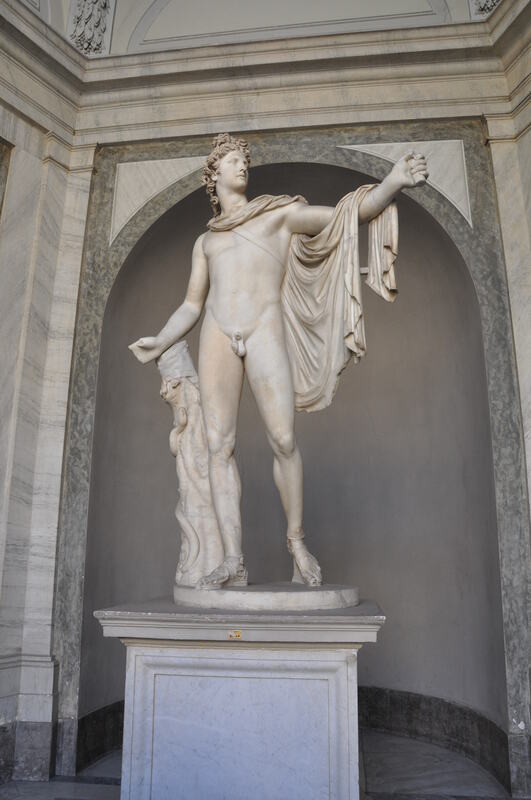 It’s a great glimpse of the ancient masterpieces, like the Vatican’s Apollo Belvedere, that you’ll see in Italy—as well as insight into just how closely the Renaissance artists were looking at the ancients for their inspiration. The exhibit “Italian Master Drawings from the Wolfgang Ratjen Collection: 1525-1535” runs until Nov. 27 2011 at the National Gallery of Art in Washington, D.C. The name might be a mouthful, but the exhibit is well-edited, showing 65 beautiful drawings by artists including Giulio Romano and Giovanni Tiepolo. There’s also a big emphasis on Venetian artists, with particularly lovely pieces by Tintoretto, Piranesi, and Canaletto. Bonus: Like the museum, the exhibit is free. 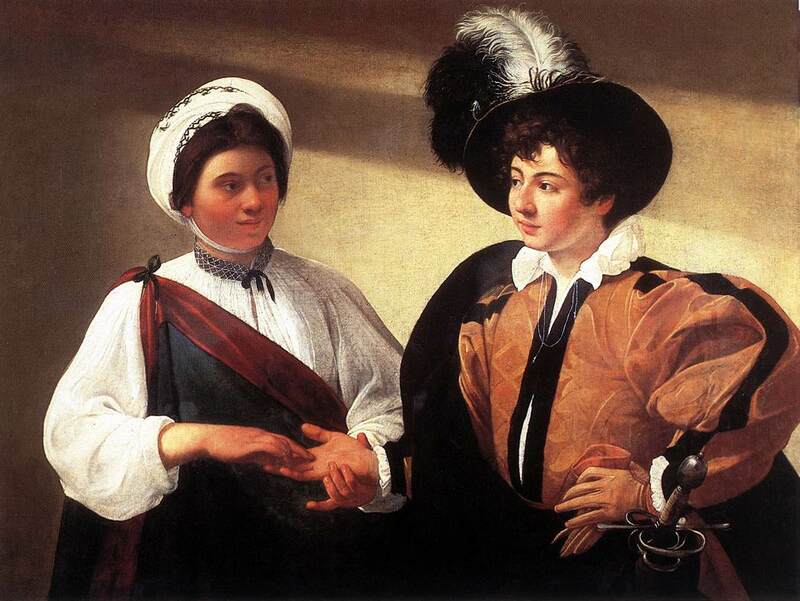 Caravaggio's "Fortune Teller"... will be in Fort Worth! The art world’s favorite bad boy, Caravaggio, has an exhibit in Fort Worth, Texas at the Kimbell Art Museum from Oct. 16 2011 until Jan. 8 2012. “Caravaggio and His Followers in Rome” boasts six of the 17th-century master’s paintings, including his famous Fortune Teller (loaned by Rome’s Capitoline Museums), along with some 55 pieces by his followers. Particularly if you’re coming to Rome (especially if visiting the Borghese Gallery), you’ll see many of the painter’s haunting works, so get acquainted now! And, along those lines: In the Columbus Museum of Art in Columbus, Ohio, an exhibit featuring Caravaggio’s Ecce Homo, lent from its home in Genoa, will be on display from Oct. 21 2011 to Feb. 5 2012, along with ten paintings by his contemporaries. Titian's "La Bella," making her rounds through the U.S.
Titian’s La Bella, his 1536 portrait of a noblewoman in a blue dress, just left the Kimbell Art Museum in Fort Worth, Texas; it’s at the Nevada Museum of Art in Reno until Nov. 20 before it travels to the Portland Art Museum in Portland, Oregon from Nov. 25 until Jan. 29 2012. Bernini’s famous (and creepy!) sculpture Medusa will travel to San Francisco from Rome’s Capitoline Museums this fall; it’ll be at the Fine Arts Museums of San Francisco from Nov. 19 2011 to Feb. 19 2012. Bernini was one of the most important artists in 17th-century Italy, and you’ll see many of his pieces if you visit Rome, particularly at St. Peter’s Basilica and the Borghese Gallery. 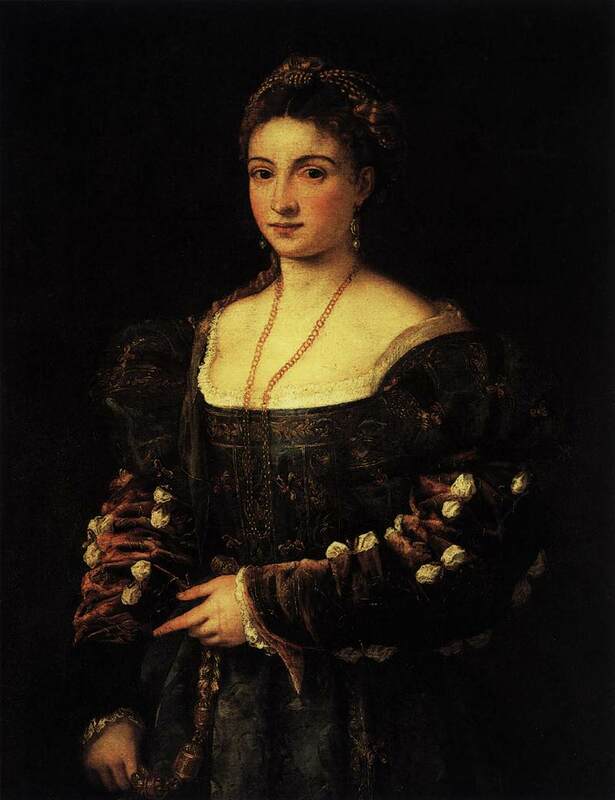 More than 50 paintings from Renaissance Venice, including five paintings by Giorgione, 15 by Titian, and others by Tintoretto, Veronese, and Bordone, will be in San Francisco at the Fine Arts Museums of San Francisco from Oct. 29 2011 to Feb. 26 2012. The exhibition, called “Masters of Venice: Renaissance Painters of Passion and Power,” is the first time that the Kunsthistorisches Museum in Vienna has lent their Venetian Renaissance paintings as one group. And it’s a great way to get a taste of the paintings you’ll be seeing not only in Venice, but in collections across Italy.